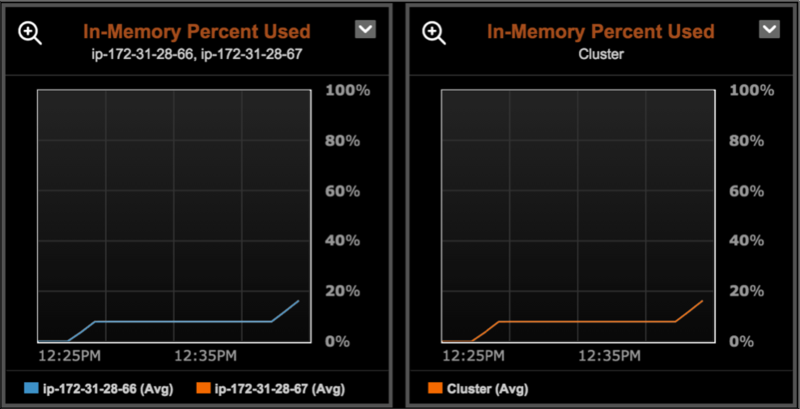 Monitor in-memory usage from within OpsCenter. 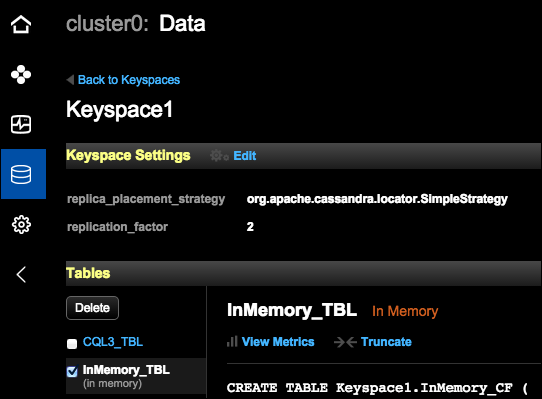 More information about creating or altering a table to use in-memory is available in the DataStax Enterprise documentation DSE In-Memory section. For versions 4.7 and later, the In-Memory Usage currently shown reflects all tables. Each in-memory table takes up a portion of the usage and displays as a different slice within the in-memory bar graph, up to the maximum threshold. The remainder of the graph represents free space. 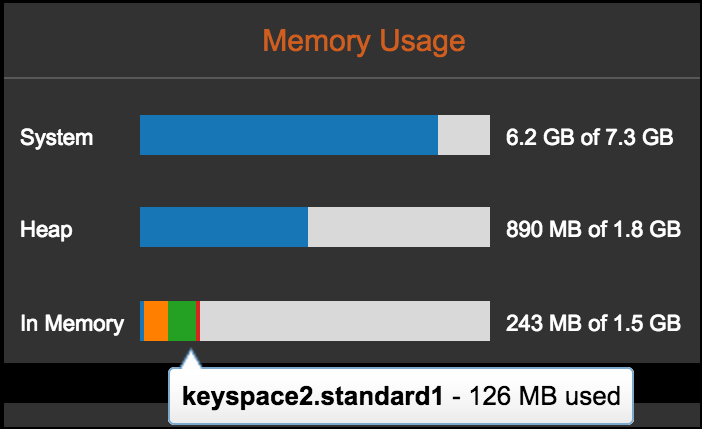 For versions earlier than 4.7, the In-Memory Usage shown reflects per table limits in the bar graph. Since there is no maximum value applicable to all tables, the entire bar graph represents the total in-memory used by a table, split into as many sections as there are in-memory tables. Free space is not represented in the bar graph.